Meditation is a practice that is found in many different traditions around the world. It is practiced in different ways in Christianity, Buddhism, Judaism, Hinduism and Islam, yet there need not be any particular religious connotation attached to simply sitting in silence on one’s own and finding inner peace. 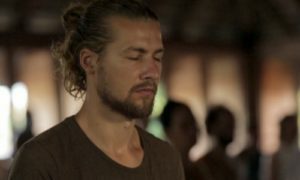 People from nearly every country practice meditation in one way or another, while the most common techniques for quieting the mind and settling into stillness come from Tibetan, Theravada and Zen Buddhism and also from the Hindu traditions of India. Do I have to learn meditation from a teacher or a class? There is no need to learn meditation from a teacher, or to attend a class, but it is highly recommended to do so in the beginning. A teacher or experienced meditator will be able to guide you through some of the issues or frustrations you may face when you begin to practice. Meditating in a group can be a great start if you are just learning to meditate, as sitting with other people who are determined also to keep their eyes closed and be quiet can be encouraging and supportive. Meditation has many benefits on different levels. On the physical level, it is found that people who practice meditation have a stronger immune system and a lower heart rate, an improved mental concentration and more awareness of their body. On an emotional level, with long-term meditation practice there is a greater sense of empathy, compassion and gratitude for others, a greater calmness and an enhanced openness to life. People who practice meditation find that they handle the many situations that life brings with a lot more calmness than before, as they have learnt not to listen constantly to their minds and the reactions of other people around them. While meditation is not a specifically religious practice, it is something that is practiced as a part of many different religions. There is nothing necessarily religious about sitting in silence and calming the mind down to find peace. There are many different postures to sit in while meditating. Most important is to find a posture that is comfortable for you, so that you don’t need to pay attention to the body. Sitting in a crossed legged position or on your knees on the floor is most common, but if that is not comfortable for you, try sitting on a chair or the edge of your bed. Using cushions to keep the pelvis tilted forward is helpful, and it is important to always sit in a position where the spine can be kept straight, the head looking forward. Just like there are many positions for sitting, there are also many different positions for your hands. You may find it most comfortable to rest your hands on your knees, with the palms facing either up or down, or to try one of the many classical mudras (hand positions) that can be found in books. The hand position that the Buddha used is popular and relaxing – it is called dhyana mudra (the hand position for meditation). It is done by placing the right hand on top of the left hand with the palms facing upwards and the tips of the thumbs touching. Both hands then rest on your lap. Experiment to find the most comfortable hand position for you and try to stick to it whenever you meditate. Why do I close my eyes? Not all traditions require practitioners to have their eyes closed during meditation, but if you are just learning, it can help. By closing the eyes, we close our senses off to the distractions around us. We begin to internalise, to shift our awareness from the external world to the internal one – thoughts, emotions, sensations in the physical body, and sense of the present moment. How long you practice meditation depends on you and your willingness. To feel some of the more simple effects that meditation can bring, it is recommended to meditate at least twenty minutes per day, however for many people this is not enough! Once you begin to experience the real peace that meditation can bring, you may find yourself setting aside one or two hours each day for your meditation practice. Start small at the beginning and allow yourself to build up to longer and longer sessions over time, or take regular short breaks and come back again to the practice (for example, meditate for twenty minutes, take a three minutes break to open your eyes and perhaps change your body position, meditate again for twenty minutes and so on up to one hour). If I have pain in my body during meditation, what can I do? It is very normal to feel pain in your body when you first begin to meditate. We are not generally accustomed to sitting with a straight spine and staying still for any length of time. It is no problem to simply take a break and stretch your body if you need to, or try beginning with some warm up stretches to loosen the body before you sit down. You may find that your legs go numb, your back or chest aches, your shoulder or your hips are hurting – this is normal for every meditator at the beginning, and with time, and patience, this pain will gradually become less and less, and eventually disappear. Try not to focus all your attention on the painful points and try to sit through the discomfort a little longer each day before taking a break. Don’t be worried about this, with time your body will adjust to your new practice, just like learning any new skill with the physical body. Every person will have a different feeling about when is the best time to sit and meditate each day. For some, the freshness and clarity that the early morning brings is the best moment to sit and find peace. Others prefer to meditate in the evenings, just before making dinner, or before going to bed, when the house is quiet and they can slow down after a busy day. And of course, all of the times in between! Allow yourself to experiment a little until you find the time that feels right for you, and then try to stick to it. Having a regular routine can help you to keep your commitment to meditate every day. Find a place in your house or garden, or even in a quiet park or forest near to where you live, where you can sit alone and undisturbed for some time. Make sure that there is a good flow of fresh air and, if possible, avoid noisy distractions, such as traffic or people talking nearby. Make sure that you have everything you need – cushions, a blanket to sit on, things to keep warm – readily available in your selected place; although you can also meditate spontaneously of course whenever you feel inspired, without anything at all. If you have a space in your house that you can dedicate to be your meditation space permanently, you may even like to place a candle there, or a picture of something or someone that helps you to feel relaxed and peaceful, or something inspiring to take your meditation practice deeper. What will it cost me to meditate? It costs nothing to meditate! Of course you can pay to take a class or a course or a meditation retreat, but you don’t need to make any major investment to simply sit and find peace and stillness inside. What can I expect to feel when I sit to meditate? The best thing you can do when beginning your meditation practice is to let go of all expectations. Once you are sitting with an open mind, you may find yourself feeling many different things – from joy and gratitude, to peacefulness and relaxation; from frustration and anxiety, to creativity and openness – depending on the day, on your state of mind, and on your willingness to really practice observing the body and the mind until a background of stillness is found, no matter what continues to happen externally or internally. How can I make my mind quiet? There are many techniques for quietening the mind and finding peace. Here are a few simple ones that you can use each day. Eventually you can let go of any techniques, as you start to touch a sense of inner peace almost immediately after closing your eyes. Observe the breath. This is recommended by many traditions in which meditation is practiced – simply concentrate on the inhalations, the exhalations, the moments of pause between each breath, the rhythm of the breath. This technique is simple, very relaxing and brings an immediate sense of calmness and awareness. Count the breath in cycles of seven. Count each inhalation and exhalation as one, then two, three and so on up to seven, and when you reach seven return to one and start counting now to fourteen, then to twenty one and so on. If you forget which number you are up to or you count too far, come back to counting from just one to seven again and start over. Learn to discipline your mind and keep it focused on one thing only – the number of breaths that arise and fall. Try watching your thoughts like cars on the street. You don’t need to pay attention to every car that passes – it’s colour, make and model – rather you can just allow them to drive by while you are aware that they are there. Try to do the same with your thoughts, allow them to pass by, without paying any interest in their content or where they come from. Just allow them to come and go, come and go, and remain as the impartial observer of them all. Choose an object of concentration. Try to focus the mind on one thing only – this could be the breath, the counting technique, an image of something or someone you find inspiring (Jesus or Buddha for example, or a waterfall), or a concept that brings you a sense of expansion, such as “compassion” or “infinity.” Bring the awareness back to your object of concentration again and again whenever you are distracted by thoughts. Treat the mind like a small child. Once you have chosen your object of concentration, you may find yourself sticking to it well for several minutes, and then becoming distracted or lost in a mental story, memory or plan. Rather than punishing yourself or feeling terrible, have compassion for yourself and imagine that your mind is in fact just a small child. Children have difficulty concentrating on one thing for very long, so does your mind. Just give it love and guide it gently back to your object of concentration and ask it to try again. Children, like your mind, eventually mature and can soon concentrate for longer and longer times without distraction. Ask yourself “Who Am I?” – beyond my body, my mind, my memories, my personality… who am I? Ask this question and then rest in the silence and mystery that follows. What should I do when I close my eyes? First make sure that your spine is straight, that your body is relaxed and that you are comfortable. Allow yourself to take a few deep breaths, trying to let go of anything you may be holding onto, allowing yourself to come fully into the present moment. Then try to stay in that present moment. Follow some of the simple techniques mentioned above for quietening the mind, although realise that it may not feel like much is “happening” in the beginning. Many people are genuinely frightened when they sit quietly and watch the mind, for they finally see how busy and active the mind really is – moving from one thought to the next, jumping quickly into judgements and doubts and memories and plans – this is in fact what the mind is always doing, we are just often so distracted by other things that we don’t notice it. Try to remain the observer of this wild mental activity, without judging it or getting involved in any stories the mind is telling you. Hold the meditation for as long as you told yourself you would, or until you naturally feel it is time for it to dissolve, and when you open your eyes, allow a short time of just sitting still before you get up, to feel the effects of the meditation, or to ground yourself in the peace that you have found so that you can carry it into all of the activities that are to come afterwards. Your progress in meditation will be measured by a shift in your attitudes in daily life. You can start to witness the effects of your practice by observing how peace and joy have suddenly become normal states, replacing fear, doubt and anxiety. In the meditation itself, you may begin to notice that you are able to observe your thoughts and sensations without getting involved, more and more each day. You may begin to feel more joy and passion for sitting down to practice, and you may enter into states of pure happiness and gratitude more quickly. There is no “ruler” for measuring progress in meditation, as each person’s path is completely their own, and the effects of meditation can only be felt subjectively. However, try to notice the integration of peaceful states into your life; this is a good sign that your practice is beginning to bear fruit. How can I go deeper with my meditation? After some time of short meditations and trying various techniques, you may have touched something inside that you cannot explain. A kind of deep peace, a kind of knowing, or a sense of a greater reality than the reality we call daily life. You may wish to take your practice deeper, or to seek advice from a teacher or a master of meditation about how you can go further into this sense of peace. It would be excellent at this point to find a teacher who you can trust (if you haven’t already) and to share some of your experiences and ask the questions that have by now no doubt arisen. Try attending a meditation retreat, where you will meditate for most or all of the day with a group. A retreat is also a great place to meet others who you can share with, and is a space that is created and held exactly for taking your practice to new levels. Most of all, cultivate determination and perseverance. Try to commit to a consistent practice every day for one month. Try to extend the time of your practice each day or each week. And most importantly, begin to integrate your understandings found through meditation into your daily life, remaining the observer of every thought and action, and allowing that deep peace to be the background of all activity in life. Where will meditation take me? Any consistent practice of meditation will bring significant changes to your life. How much change you are willing to allow depends on you. It will at the least bring a greater openness to life, more calmness and less reactivity to the unexpected ups and downs that life brings. It may also take you on a deep journey into yourself, as you discover a reality that is deeper than any you have known before. It may take you on a path of devotion to God, or to mankind. It can take you as far as enlightenment, in which you no longer identify yourself with being only a body and a personality, but with being the peaceful-loving source of all things. It is up to you how far you want meditation to take you, you create the path. What can I do to learn more about meditation? 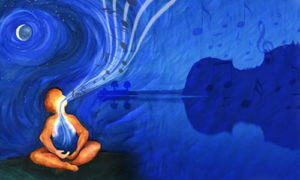 To learn more about meditation in general, or different practices and techniques, there are many options available. There are many fantastic books written by and about masters of meditation from all across the world, and there are many current masters and teachers who offer regular retreats or lectures online or from their hometowns. Look for various courses and talks offered on meditation near to where you live, or try to connect with communities of other meditators, to share experiences and advice. So long as the passion is there, keep seeking, keep exploring, keep practicing and continue to integrate the gifts that arise from your meditation – gratitude, peace, calmness, love, joy, openness, and so much more – into every aspect of your life. https://hridaya-yoga.com/wp-content/uploads/IMG_0666-what-is-meditation.jpg 504 756 ad https://hridaya-yoga.com/wp-content/uploads/Logo-Hridaya-Yoga.png ad2015-06-28 12:40:022017-04-25 06:26:09What Is Meditation?